← New Forest: squirrel-pie anyone? A connection with nature is essential for our mental, physical, intellectual and emotional health. The Easter holidays have a big impact on the New Forest. They traditionally mark the beginning of springtime and the time of year that many visitor attractions open their doors to welcome guests at the start of the season. Tourism is one of the most important economic activities on the New Forest and is a major source of employment for local people. The accommodation providers, pubs, restaurants, retail outlets, transport operators and other local businesses, for example, will all have busily prepared for the thousands of people who will flock to the area during the spring break. Many visitors who come are in search of much needed rest and relaxation, whilst others are keen to exploit the opportunities for more energetic ways of restoring their batteries. But whichever way they go about it leisure and recreational activities are now probably the most significant ways that people of today interact with nature. Gone are the days when everyone was familiar with the farming calendar and the importance of the Countryside Code*; or grew vegetables and kept chickens, geese, ducks and pigs in their yards and gardens. We are no longer immersed in the circle of life, of watching creatures being created, born and dying. Nor do we understand the growing seasons, of what produce is available when and what can be grown locally or what is imported. Our species was never designed to be as disconnected from the rest of the natural world and its processes as we are now. We spend a fraction of the time out-of-doors and interacting with nature when compared to our ancestors. Whether we recognise it or not, those moments when we can look at trees, feel the wind and rain on our faces, smell the aroma of the warm earth after summer rain, or see wildlife in its natural setting are vital to our mental, physical, intellectual and emotional health and welfare. But as necessary as these moments are to us, to the wildlife that shares the New Forest environment the availability of, and access to, its natural resources are a life or death reality. Easter also marks the beginning of essential springtime breeding activity of many species of wildlife on the Forest. From now until July the ground-nesting birds, small mammals and reptiles, for example, will be attempting to reproduce. It is crucial that we do not disturb them and do all that we can to support them. 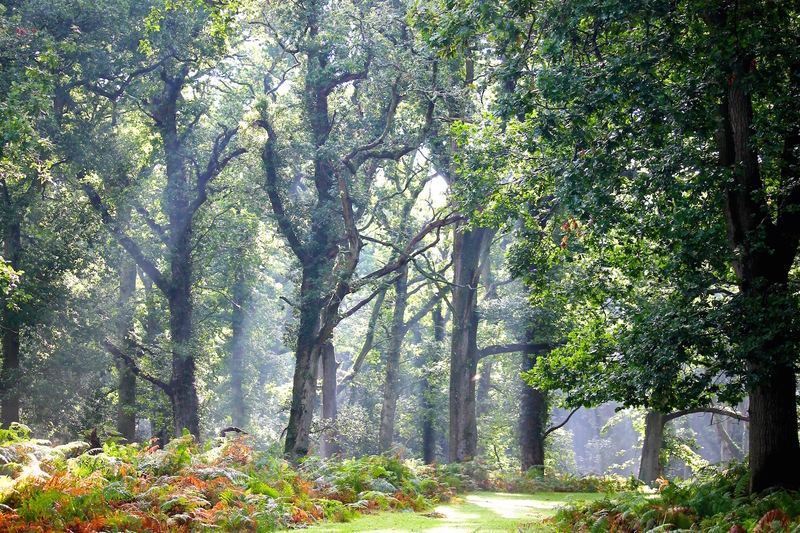 Adopting simple strategies, such as staying on the designated footpaths or cycle tracks, keeping your dogs close to you when walking them, and not leaving litter, or even picking up litter even if it’s not yours, will go some little way to protecting the wildlife of the New Forest and preserving its ecology for future generations of visitors. 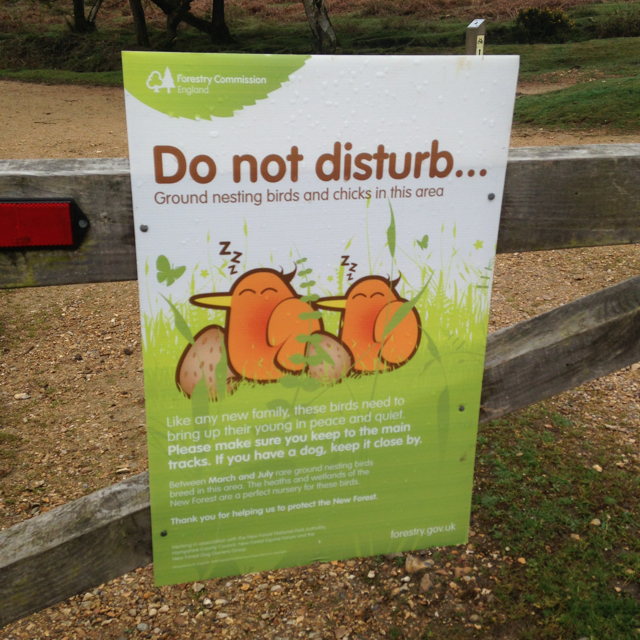 Take care when on the New Forest not to disturb ground nesting birds from March until July. *The Countryside Code explains how people can enjoy the countryside responsibly. This entry was posted in New Forest, New Forest flora & fauna and tagged animals, attractions, breeding season, circle of life, conservation, Easter, ecology, environment, nature, New forest, petrichor, spring, tourism, visitors, wildlife. Bookmark the permalink.